Whether you’ve been supporting To Write Love on Her Arms for months or years, there’s a good chance you’ve heard us mention the Vans Warped Tour. It holds a significant place in our history, it’s part of our identity—it’s where we met so many of you. Today, Warped Tour begins its last trek across North America. For the last two decades, people have been attending Warped Tour to share in their love of live music and to experience moments that make them feel alive. And for more than half of those years, our team has been present with the sole purpose of reminding everyone in attendance that hope and help exist. This year will be no different. “We’ve had the privilege of being part of every summer of Warped since 2007. Those hundreds of sunny summer days have allowed us to introduce our mission and our message to tens of thousands of people. For the last 20 years, people have been coming to Warped Tour to see their favorite bands, to sing and scream words that feel true, and to feel less alone. It’s been the perfect setting to invite folks into the possibility that it’s okay to be honest. It’s been the perfect place to start a conversation about mental health. We hear from so many folks who say that Warped Tour is where they found out about TWLOHA. They saw their favorite artist wearing a shirt. They noticed the TWLOHA tent and wondered about our name. They picked up an info card. They bought their first TWLOHA shirt. They had a conversation with someone from our team. We are forever grateful to Kevin Lyman and his team for their generosity. Along with other nonprofits, we’ve been invited to Warped Tour and have been asked for nothing in return. For more than a decade now, they’ve simply welcomed and included us. Whether it’s your first Warped Tour, or your 20th, our hope is that you will find the TWLOHA tent and make it a point to stop by. Because it’s the opportunity to talk to you that makes the months of travel and long days spent under the summer sun worth it. You’re the reason we show up. 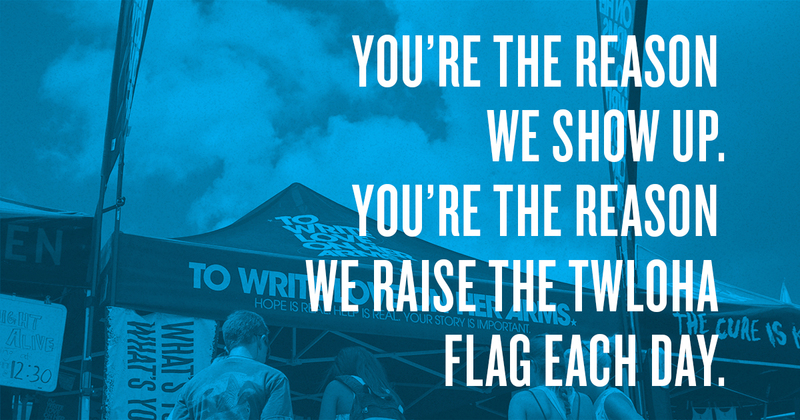 You’re the reason we raise the TWLOHA flag each day. And when you come to the TWLOHA tent, we want you to remember: The mental health resources on the table, they are for you. The merch we bring with us, it was designed with you in mind. And the people behind the booth? They want to be a safe space for you to share your struggles. This will be her third summer out on the road representing TWLOHA on the Vans Warped Tour. She began her journey with us two and half years ago as an intern, and has since joined our staff as the Music + Events Coordinator! 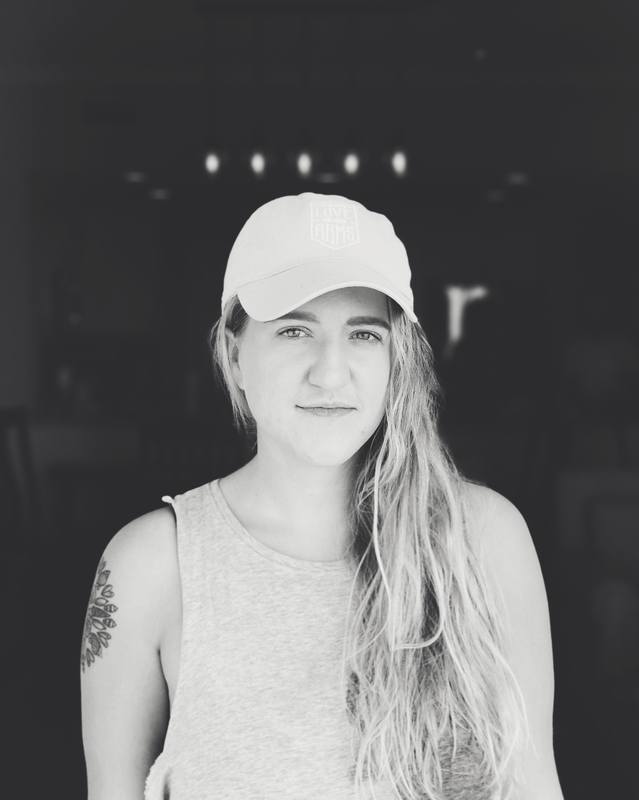 In addition to coordinating our annual Run For It 5k, Elizabeth has been behind the booth at events across the entire country, like Bassnectar Gatherings and Wanderlust. Whether it’s an EDM music festival or a yoga retreat, she’s done it all. 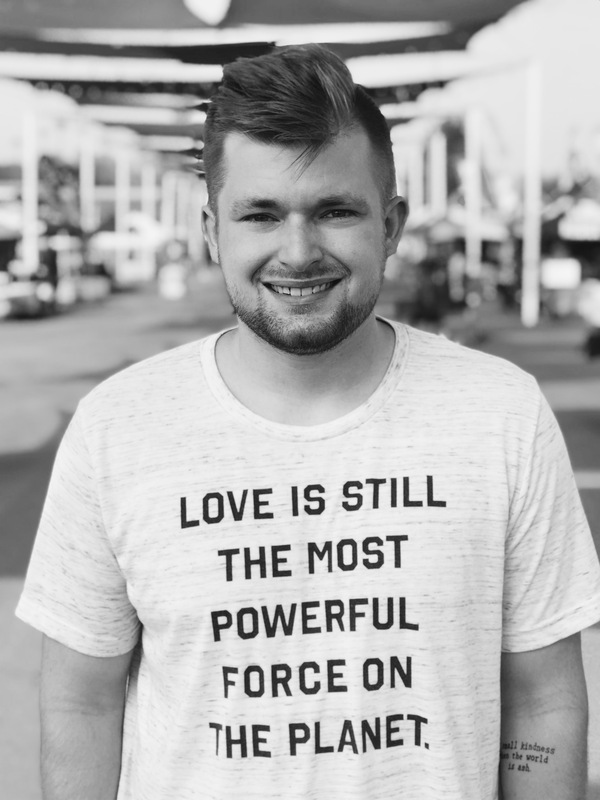 Austin became a member of the TWLOHA crew as an intern during the summer of 2017. Aside from being behind the booth at a handful of events, this is his first year representing us on Warped Tour! Between his love of music festivals and passion for helping people, Austin is the perfect addition to our road crew. Check out all of the cities we’ll be at this summer here! Is there any room on the booth for volunteer? I would love to help out during the Maryland stop at the end of the month ! Most of our booths are run by staff members or former interns. But we would love for you to visit our Get Involved page (https://twloha.com/get-involved/) for other ways to help out. And we hope that you will stop by the booth to talk with us in Maryland! Can’t wait to see you. Everything is better shared. Our questions, our pain, our dreams, our fears. These walls can, should, and will come down. We will build tomorrow together.